M Large is one of the longest established Arboricultural companies in Ireland with an excellent reputation for high quality work. We currently have an opening for a Tree Care Manager to join our team looking after private and commercial clients throughout the Province. Applicants must have relevant experience and appropriate qualifications in forestry or arboriculture. Salary £33,000 per annum plus company pension & company vehicle. 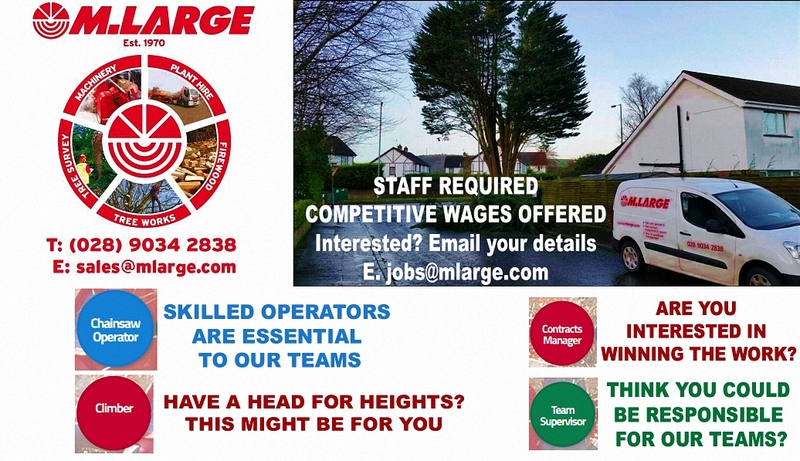 There are also other job openings available – tree climbers – £590 per week if you feel that you have the qualifications & experience to fulfil these roles please get in touch.